In an ideal world, every dog would have a loving owner and a warm home. 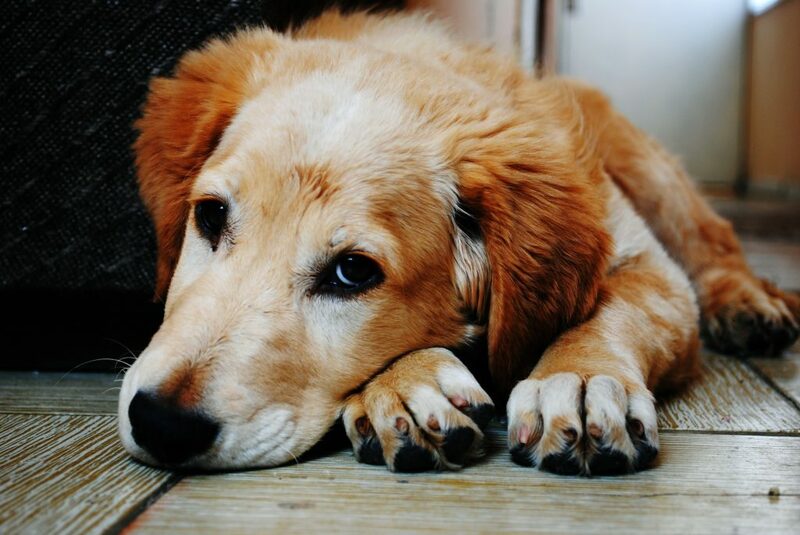 Sadly, we don’t live in a perfect world, and The American Society for the Prevention of Cruelty to Animals estimates that 3.3 million dogs enter shelters every year (this number doesn’t include stray dogs who don’t enter a shelter). But there are thousands of shelters and dog rescue programs working to make our world a little more perfect, and they strive to help every dog find their forever homes. Below, we highlight some of the most innovative and unique dog rescue programs from around the United States. If you live near one, they’re all worthy of your volunteer hours, and if you don’t, they’re always in need of donations. Puppies and younger dogs get snapped up at shelters, while the older ones often have a tough time getting adopted. Sherri Franklin started Muttville Senior Dog Rescue program in order to change this fact. 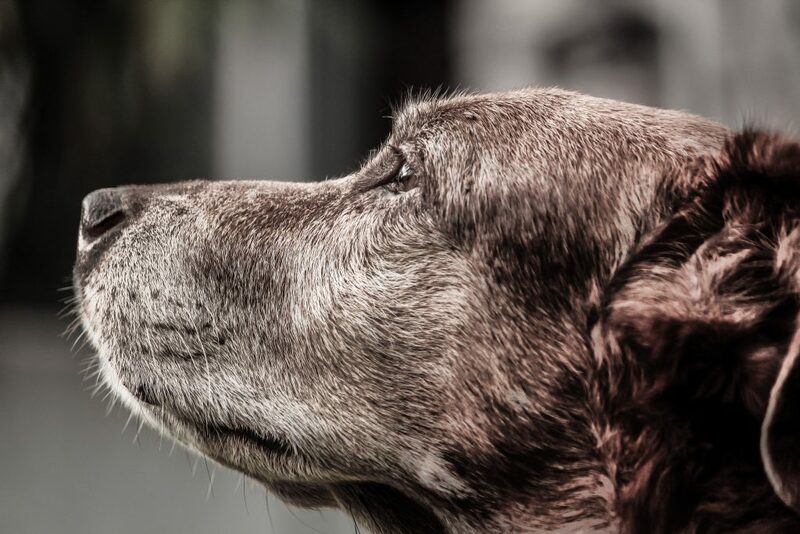 Founded in 2007, Muttville has been working for more than a decade to place senior and special needs rescue dogs in homes; the dog rescue program also offers end-of-life care for dogs that are not adoptable. Muttville rescued its 5,000th dog in September 2017, and the shelter now rescues an average of 1,000 dogs a year. While based in San Francisco, the shelter accepts dogs from all over California and places them in homes state-wide as well. As the name suggests, this Texas-based shelter is a leader in the no-kill movement. After looking at the data, staff realized that the average live rate at city shelters was only about 50%. To close this gap, Austin Pets Alive! created rescue programs that focus on animals that might otherwise be euthanized at a different shelter. They created a Parvo Puppy ICU to treat puppies and dogs with parvovirus, as well as a Dog Behavior Program to support dogs that require additional behavioral attention. Such programs have helped the city of Austin save more than 90% of shelter animals since 2011. Most recently, Austin Pets Live! partnered with Houston Pets Live! in the wake of Hurricane Harvey to rescue more than 3,000 animals thanks to funds from Bark for Good, an initiative by BarkShop that donates 5% of the proceeds from sales of their adorable dog toys and tasty dog treats to organizations that help keep dogs out of shelters. New York Bully Crew is on a mission to change this reputation. The Long Island-based program specializes in rescuing and rehabilitating pitbulls from around the nation, though they focus a lot on the greater NYC area. While the program was founded to help save pitbulls, Bully Crew won’t turn away dogs of any breed that need help. 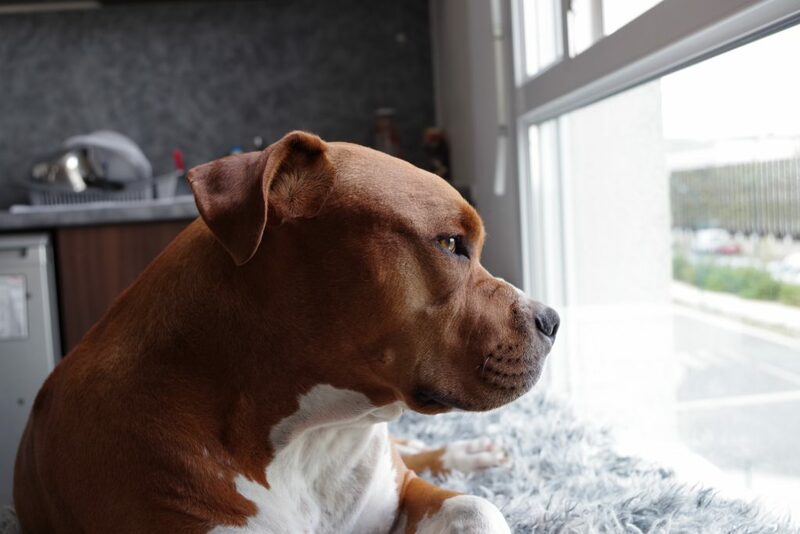 The program also raises awareness about the cruelties of dog fighting, abuse, and neglect, and runs a text-and-email hotline for reporting these issues. Another breed-specific rescue program, Greyhound Pets of America (GPA) helps greyhounds find forever homes after their racing careers are over. 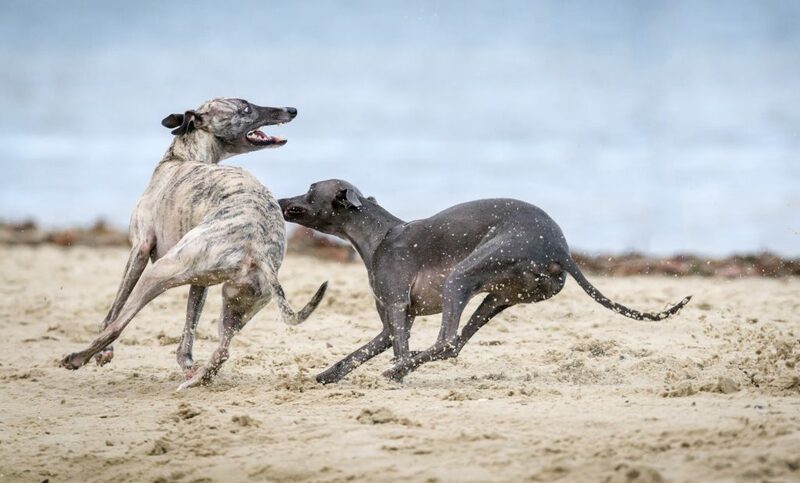 While many think of greyhounds primarily as athletic dogs meant for racing, they are very friendly and non-confrontational, and adapt well to more laidback, post-racing lifestyles. GPA has various chapters in 25 states, and together the chapters have helped 80,000 greyhounds get adopted nationwide since GPA was founded in 1987. The national chapter does accept donations, but most of the adoption work is run through the local chapters; check the listing to see if there’s one in your state. While Karma Rescue often takes in pitbulls, they also accept other dogs (and the occasional cat) who are looking for their forever homes. The organization runs multiple programs, but it’s perhaps best known for its Paws for Life initiative, a prison-based dog training program available at multiple prisons throughout California. Over 12 weeks, inmates help train the dogs to receive the American Kennel Club’s Canine Good Citizen (CGC) certification, the gold-standard in canine obedience. There’s also a more intense 52-week program in which inmates train formerly homeless dogs to serve as specially-trained companions for military veterans with PTSD. Not only does the Paws for Life program increase a dog’s chances of getting adopted, it also helps the inmates gain life skills and develop empathy. When it comes to puppy mills, many focus on the puppies (as the name “puppy mill” implies) and forget about the adult dogs that are forced to continuously breed litters. The adult dogs are often confined in cages for years, with little or no medical care. National Mill Dog Rescue (NMDR) was founded to rescue, rehabilitate, and rehome “retired” breeding dogs. To start off their new lives, every single dog is spayed or neutered, given additional medical care, and bathed and groomed. Based in Peyton, Co., the program is also open to out-of-state adoptions. If you live in the area, NMDR’s work 95% volunteer based, so they’re always looking for extra pairs of hands. This program is dedicated to saving dogs (and cats) from high-kill shelters across north Georgia. Each animal is placed in a foster home in the greater Atlanta area until they find their forever home; Angels Among Us does not operate its own facility, though the program does hold regular adoption events so potential adoptees can meet multiple foster dogs at once. Once a dog is transferred from the shelter into Angels Among Us, the pooch isn’t returned to the shelter for any reason. Angels Among Us does consider out-of-state adoptions, and even offers remote volunteer opportunities for those who don’t live in the Atlanta area. Located in Florida, K9s For Warriors helps both dogs AND military veterans. The program provides service dogs to military veterans suffering from PTSD, traumatic brain injury, and/or military sexual trauma. The dogs trained in the program are either rescued from shelters or donated by the public, and they’re given both a new home and a new lease on life through the program. It costs approximately $27,000 to train and place a service dog, but these expenses are covered entirely through donations, and veterans are never charged a cent. Even if dogs don’t meet the requirements to become a service animal, K9s For Warriors will keep working to help them find their forever homes. Odds are that you’ve seen one of Hope for Paws’ many viral videos of dog rescues. The Los Angeles-based rescue organization has more than 2 million subscribers on its YouTube channel, and has amassed more than 540 million views (yes, you read that number correctly) since its inception. The organization’s awareness efforts really took off in 2012, when a video documenting the rescue of a blind dog named Fiona went viral. In addition to finding her forever home, Fiona got a chance to meet Anderson Cooper and Kristin Chenoweth on national TV, helping to spread the word about Hope for Paws and animal rescue efforts everywhere. Regardless of where you live, there are plenty of ways to get involved and help dogs find their forever homes. Check to see if any of these rescue programs are located near where you live. If not, there are bound to be other shelters and rescue programs nearby; look for no- or low-kill shelters that euthanize as few dogs as possible and strive to place each and every one of them in a loving, comfortable home. Rescue programs and shelters are always in need of donations as well as volunteer time, including specific items such as beds, blankets, food, treats, and dog toys. Of course, shelters and rescue programs also accept cash donations, and you can support any of the rescue programs listed here by contributing online, even if you live hundreds of miles away. If you’re looking to get a dog, consider adopting from a shelter or rescue program — if just one out of every 10 Americans adopted a dog, we could almost clear out the shelters. And whether you’re hoping to adopt a dog or already own one (or several), be sure that they’re neutered or spayed. The first step to keeping dogs out of shelters is keeping down the birth rate, and neutering or spaying your pooch is one of the most effective steps in preventing overpopulation, and the abuse and neglect that comes with it. There’s power in numbers, and if each of us gave just a little bit of our time or money, it would go a long way to helping every dog in the country get adopted. 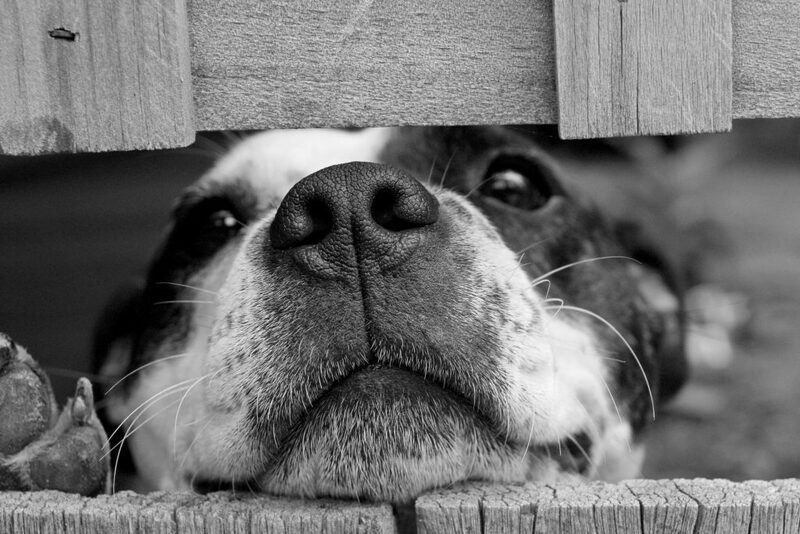 Donate or volunteer today, and start making a difference to the dogs.